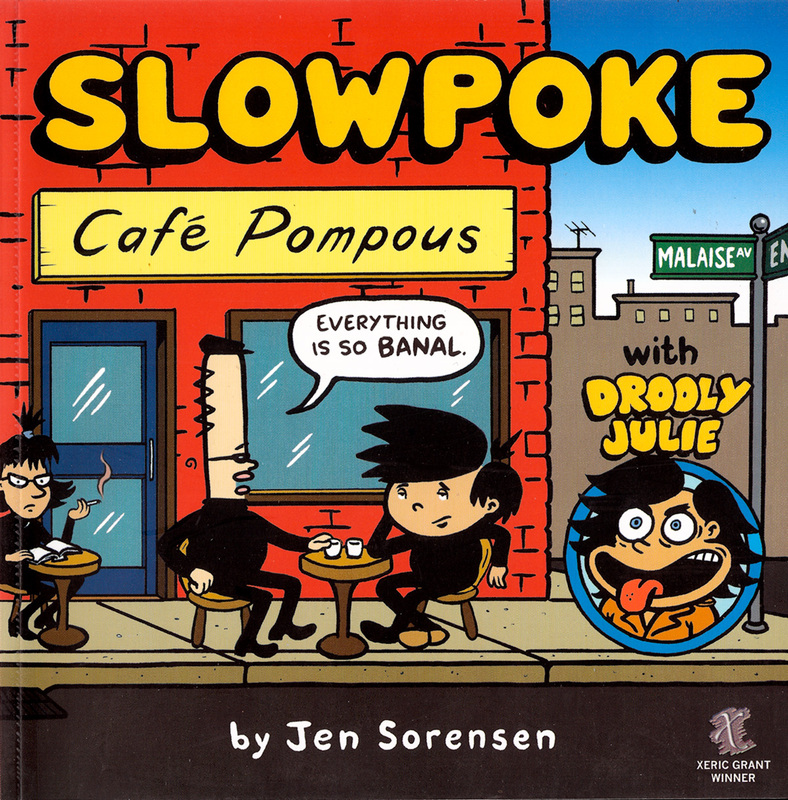 Xeric Award-winning Slowpoke: Café Pompous collects the first two years of Jen Sorensen’s alternative newsweekly strip, Slowpoke. Jam-packed with gags, Slowpoke tackles the absurdities of present-day American life with rib-tickling gusto. Uptight Mr. Perkins, jaded Little Gus, and horny Drooly Julie provide a witty commentary on the politics and culture of our times. Do evil scientists succeed in cryogenically freezing Julie’s libido? Find out inside!